While it’s not set in stone, a second season of the 13 Reasons Why TV show is becoming more and more likely. Per Deadline the renewal should come to pass “soon.” First, however, the writers have to figure how pivot the show’s premise for season two. The first season of 13 Reasons Why starred Dylan Minnette, Katherine Langford, Kate Walsh, Brian D’Arcy James, Derek Luke, Brandon Flynn, Justin Prentice, Alisha Boe, Christian Navarro, Miles Heizer, Ajiona Alexus, and Tommy Dorfman. 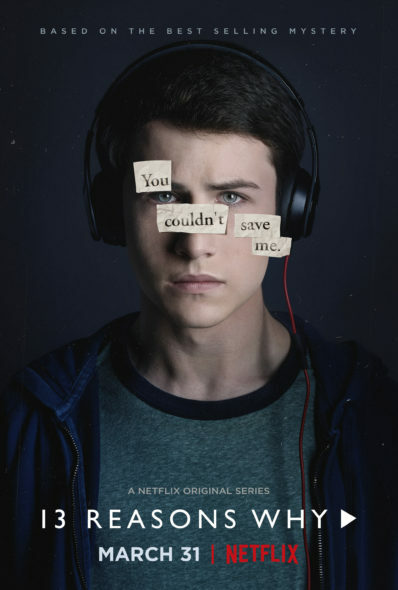 Season one of the Netflix mystery crime drama followed Clay Jensen (Minnette), in the wake of his co-worker, crush, and classmate Hannah Baker’s (Langford) suicide. In the first season, Clay and some of his classmates listened to Hannah’s audio recordings to understand why she killed herself, and to hear her take on how their actions influenced her decision to end her life. That story was pretty fully told in the first installment, so repositioning the drama for season two is a must. What do you think? Did you watch the first season of the 13 Reasons Why TV series? Who or what would you like to see as the focus of a second season? More about: 13 Reasons Why, 13 Reasons Why: canceled or renewed?, Netflix TV shows: canceled or renewed? I am really excited to see how they approach a season two. Season 1 was pretty much a complete story so maybe they will deal with the aftermath of the tapes and we will see how the school, police, kids and parents deal with the truth finally coming out. Can’t wait! By far the best series by Netflix to date. My friend and I would definitely watch season 2. I think there’s more to Alex then we saw. Maybe season 2 can focus on his attemped suicide, or Tylor and why he has that collection of guns hidden in the trunk and what he plans to do with him. Also, I would like to see what happens with Bryce and the rapes. I thought the same when I saw the collection of guns “he” (how did his name slip my mind?) was hiding in the trunk. I can see a school shooting there. He seems to be the type of person who would do that with the stalking, secretive pics, the bullying he experienced. It’s ok there. I have watched about 10 of the episodes so far and think that the 13 will pretty well exhaust what has to be said. Even now some of the episodes are getting pretty thin. Probably will not watch a Season 2.